Goshen Community Schools employs a coordinated school health program to help ensure the mental and physical health and wellness of students, staff, and the Goshen community. 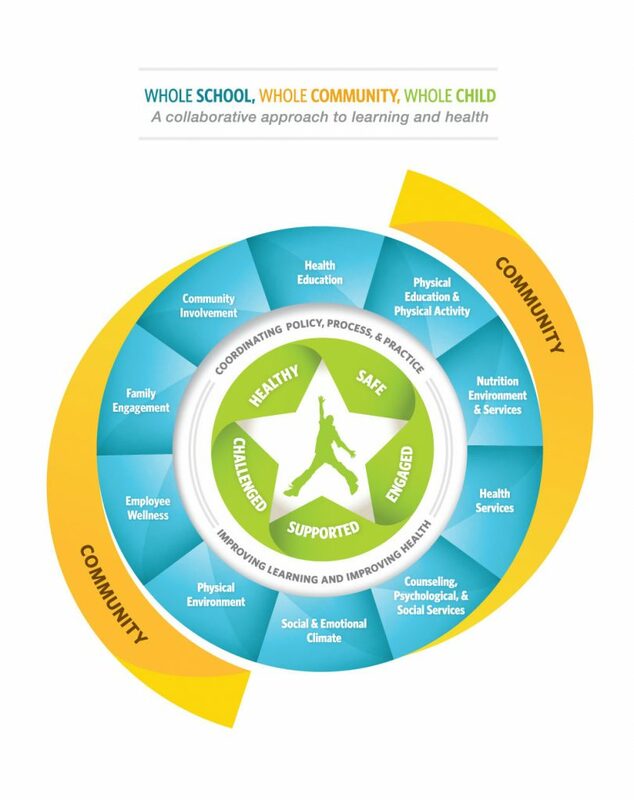 We have recently approved an updated Wellness Policy based on the Whole School, Whole Community, Whole Child Model (WSCC) as established by ASCD and the CDC. Goshen Community School’s Coordinated School Health Committee supports student achievement by implementing this model to promote student and staff health, safety and wellness. If you are interested in participating in this committee, please contact Susan Stiffney at 574 533-8631. The Coordinated School Health Committee meets every other month to create, implement, monitor and evaluate wellness initiatives throughout our schools.